AUSTIN, TX — The Capital City Black Film Festival (CCBFF) today announced that Academy Award, Golden Globe and Emmy winner Louis Gossett, Jr., will be honored at the film festival’s Opening Night Gala on Thursday, Aug. 17, 2017, at the Austin Convention Center. This year marks the Festival’s 5th Anniversary of showcasing the best in Black independent film from the brightest minds in filmmaking. Each year, CCBFF’s Opening Night Gala elevates the arts and honors those who have paved the way for artists and entertainers of color. 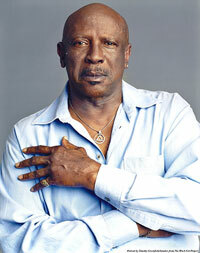 Louis Gossett, Jr., will receive the Harlem Lights! Living Legend Award at the Gala on Thursday at 8 p.m. The award is named in honor of East Austin’s legendary Harlem Theater, which served African American moviegoers from 1935 to 1973. At that time, the Harlem Theater was one of only seven Black-owned theaters in the country. VIP Pass holders will be treated to a special Meet-and-Greet with Louis Gossett, Jr., prior to the Gala. In addition, “Forgiveness,” a short film written and directed by Satie Gossett, will be screened on Thursday evening. The CCBFF Opening Night Gala will be preceded by a cocktail reception and a “Living Art Gallery” display at 7 p.m.
Premieres Friday, August 18th. Breaking Brooklyn tells the story of a 12-year-old boy with a passion for dance and his brother who are rescued from the streets by an old showman (Louis Gossett, Jr.) who takes them in to live with his estranged former dancing partner/brother (Vondie Curtis-Hall). Breaking Brooklyn is directed by Paul Becker and written by Paul Becker and Rory Owen Delaney. The movie stars Colin Critchley, Madeleine Mantock and Catherine Curtin. Premieres Sunday, August 20th: The Reason, based on the William Sirls book, follows a small-town pastor (Louis Gossett, Jr.) whose son hasn’t spoken a single word in 38 years, and a mother whose five-year-old boy has leukemia, as a mysterious man is sent to give them hope. Sirls adapted his book for the screen, writing the screenplay with Aviv Rubinstein and Richard Clark Jr. The Reason is directed by Randall Stevens and stars Tatyana Ali, Beverly Todd and Burgess Jenkins. Louis Gossett, Jr. will be present at each screening and will participate in a talkback with the audience. The 2017 Capital City Black Film Festival takes place Thursday, August 17th, through Sunday, August 20th, at the Austin Convention Center (4th Floor) in Austin, Texas. Tickets to the Opening Night Gala as well as Festival Weekend passes are currently on sale. To purchase passes and tickets, go to www.ccbff.eventbrite.com. Additional announcements on competitive film selections, panels, workshops and special guest appearances will be made during the coming weeks. CCBFF is still accepting submissions from filmmakers in the categories of narrative features, documentary features, short films and music videos. The late deadline is July 14th; please visit www.capcitybff.com for more information about the submission process.